Our Rabbi, Ian Silverman, earned a BA in psychology from Columbia University and an MA in Jewish Communal Service from Brandeis University. His ordination took place at the Reconstructionist Rabbinical College where he earned an MA in Jewish Studies and his Teacher's Certificate from Gratz College. He earned a Doctorate of Jewish Studies from the Spertus Institute of Jewish Studies. 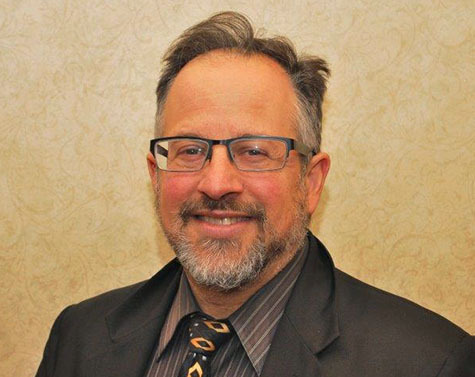 Rabbi Silverman has been a pulpit Rabbi for more than 25 years and enjoys working with our children in Religious School, teaching Adult Education courses and writing scholarly essays. Two of these essays, one on the subject of the High Priest and the other on Happenstance and Accident in Jewish traditional sources, were honored with publication in the Conservative Quarterly Journal. Most recently, he indulged his art hobby by completing a complete set of pastel illustrations depicting each of the weekly portions of the Five Books of Moses. Rabbi Silverman is married and has two sons.